Jessica Lowndes talks to PIX Morning News in New York about 90210, recording her album and her duet “Falling in Love” with Ironik. Watch “Falling In Love” Official Video at News Of the World! I’VE got the exclusive vid of Brit rapper DJ IRONIK’s new song Falling in Love featuring 90210 beauty JESSICA LOWNDES – and you can see it NOW. It was filmed in LA last week and the Tiny Dancer rapper clearly took a shine to Jess. Finally we have the Official Video Snippet of “Falling In Love”, the new song of DJ. Ironik Ft. Jessica Lowndes. You can watch the video below and some LQ screencaps of it. Now, we can’t wait to see the Official Video! There’s a video from the “The Art Of Elysium” 2nd Annual Genesis Event with Jessica. You already viewed the pics I posted today, but this video deserves to be watched: Jessica is absolutely stunning! Hollyscoop.com caught up with Jessica Lowndes who talks to us about her Fall Fashion picks, opening for Robin Thicke, her new Album, and the new season of 90210. Here’s a video from the Evian VIP suite, Wimbledon including our Jessica. Enjoy! Jessica Lowndes talks about her love of music and her lasting love for Navid. 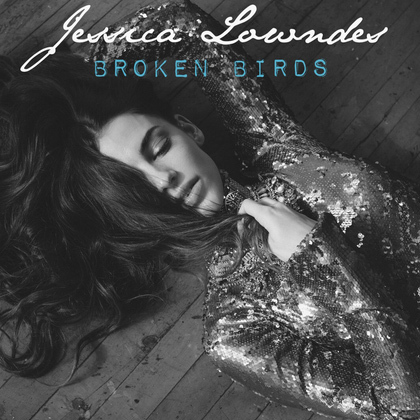 Jessica Lowndes, who plays Adrianna on ‘90210,’ proves she’s a double threat with her latest storyline where her character gets a record deal. In real life, Lowndes is also working on an album. Thers is a new Jessica’s video interview from On The Red Carpet, just click here to watch the video! Thanks to Natalia for the heads up! She went on to say there may be a new love interest for her character since being cheated on by Gia, played by Rumer Willis. “You just saw Rumer’s character Gia cheat on my character. So they’ll definitely me more love stories,” she said. Watch the video at On The Red Carpet!